Search homes for sale in Keller TX, including all available MLS listings of Keller Texas homes for sale and Keller Texas homes for rent. See what's happening in the local real estate market. The median price of a Keller TX home was $395,000 in September 2017, while the average price stood at $439,806. If you are in the market to buy or sell a Keller TX home, contact Aaron Layman Properties today to speak directly with an experienced real estate broker. 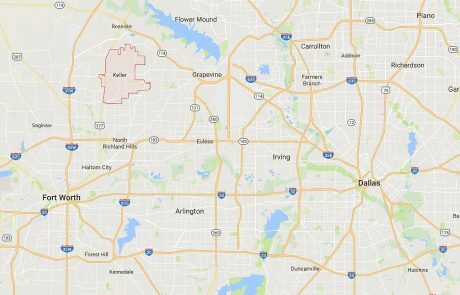 Established in the early 1850s as a stop on the Texas and Pacific Railway, Keller Texas is a suburb north of Fort Worth in Tarrant County Texas. 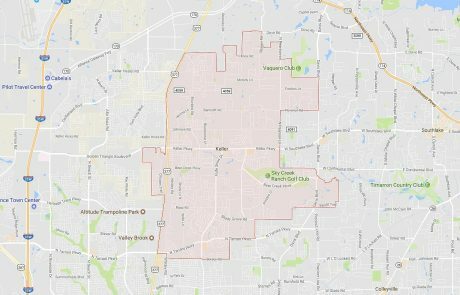 The city of Keller Tx has an estimated population of roughly 44,600 residents according to 2017 figures. Keller is primarily a residential community that also features 300 acres of parks and roughly 24 miles of hiking and biking trails. The city park and trails system is anchored by Big Bear Creek. The city of Keller maintains a recreation and aquatics center, The Pointe, as well as numerous public sports facilities. The Keller Public Library and Keller Senior Activities Center also serve the area. 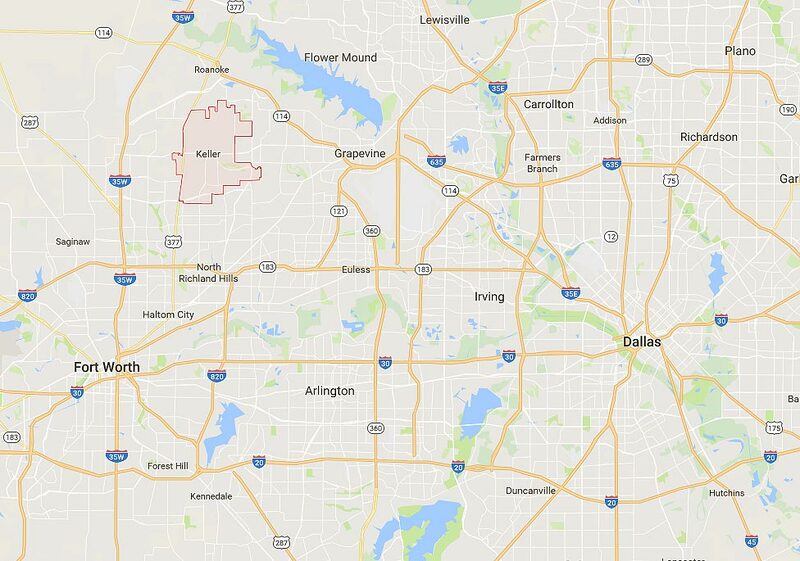 Keller Texas is notable for its family-friendly environment, quality schools and general proximity to DFW International Airport which is just 9 miles east of the city of Keller. The Keller Independent School District serves more than 34,000 students, serving the cities of Keller, Colleyville, Fort Worth, Hurst, North Richland Hills, Southlake, Watuga, Haltom City and Westlake. 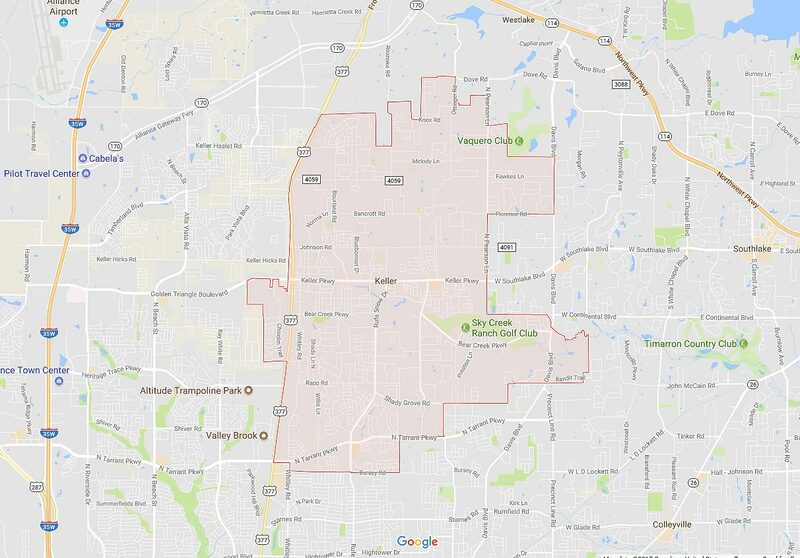 Keller ISD spans 51 square miles, and is the third largest land area in Tarrant County. Keller ISD operates 6 high schools, 7 middle schools and 25 elementary campuses. Homes for sale in Keller Tx consist of various resale properties and a limited supply of new construction. Homes in Keller are generally affordable compared to prices in other popular suburbs of the DFW metroplex.